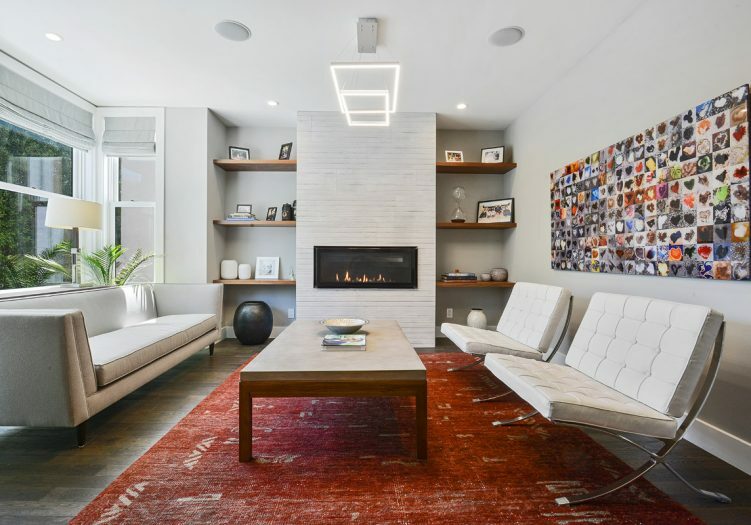 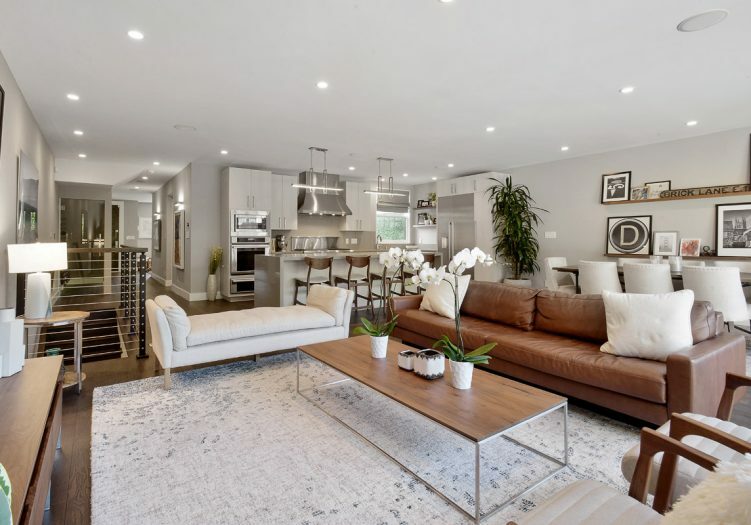 Modern sophistication throughout this superbly redesigned home. 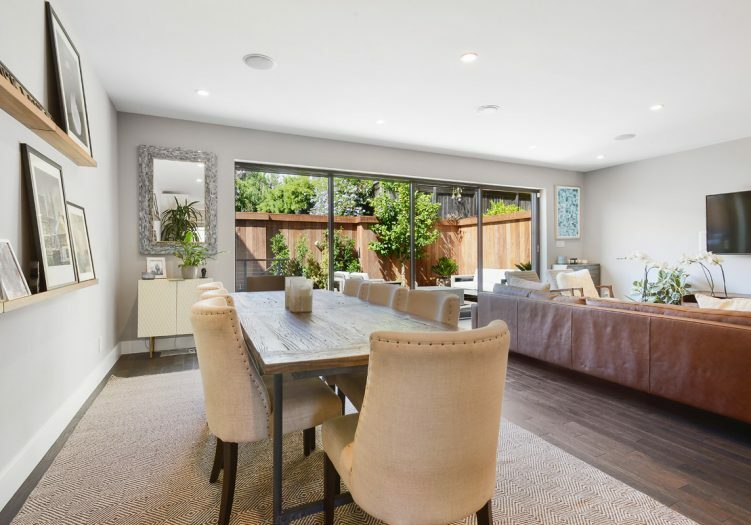 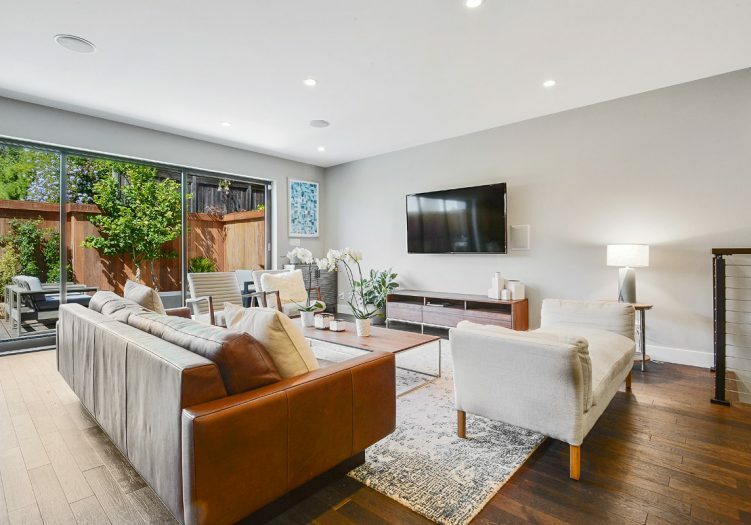 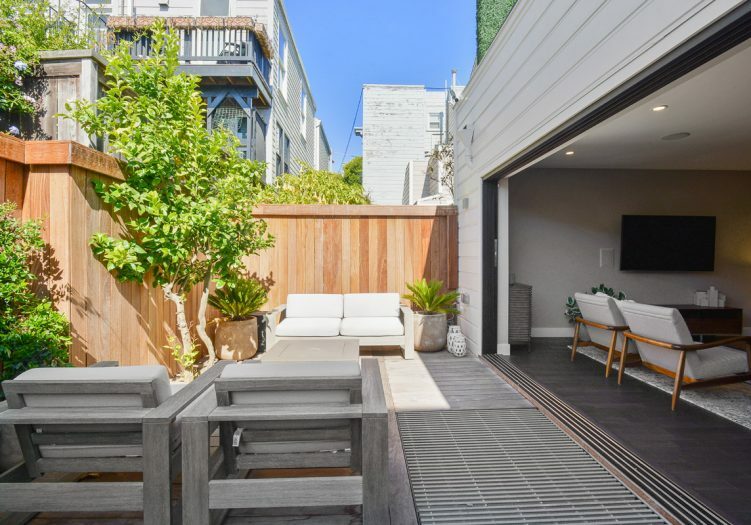 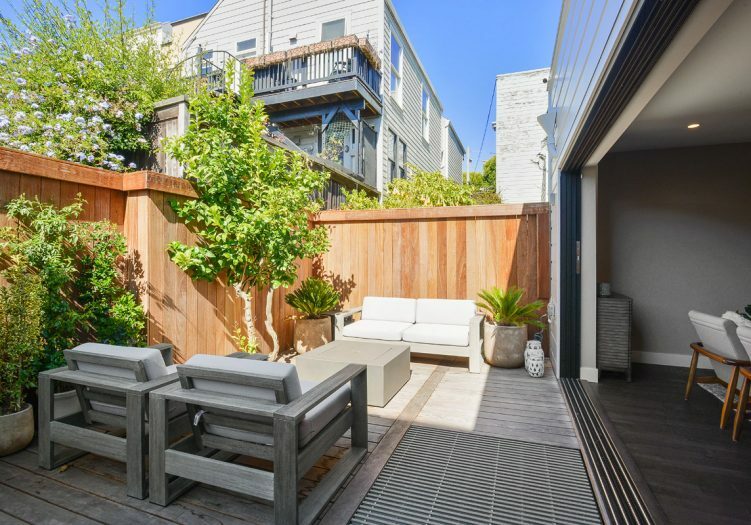 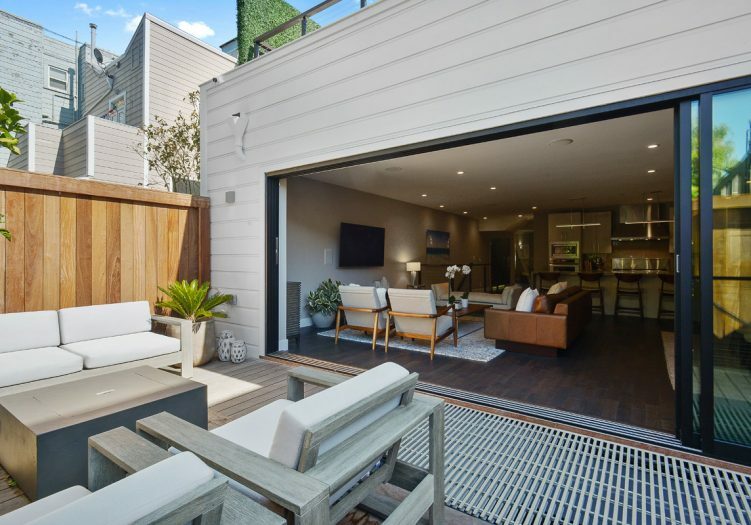 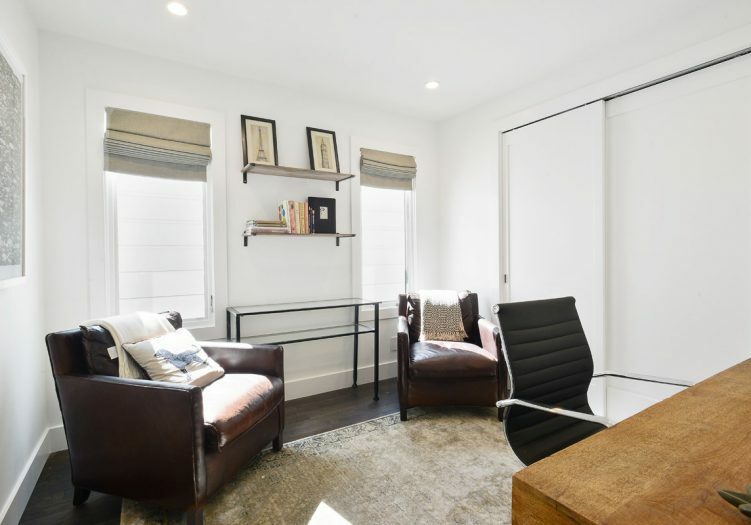 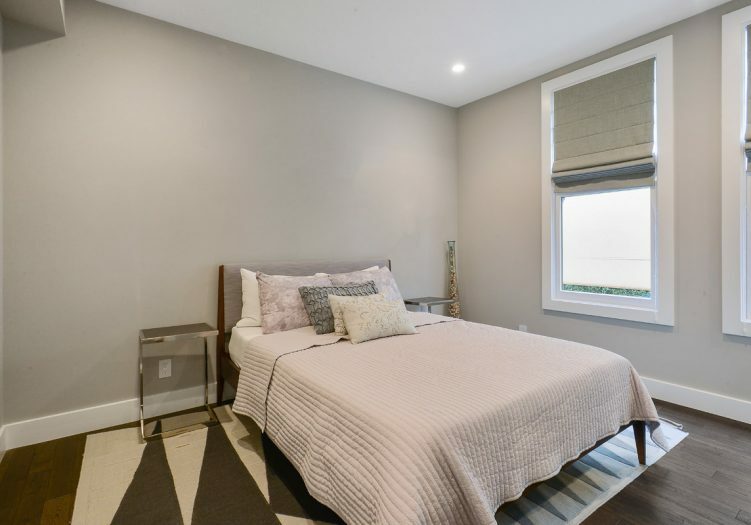 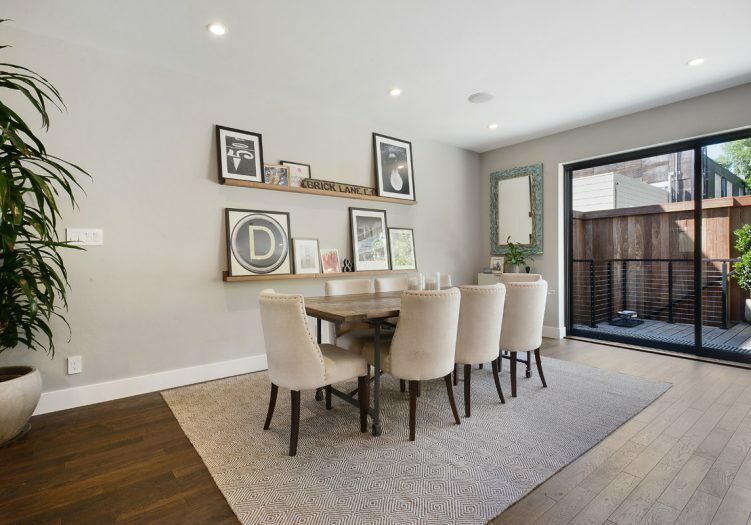 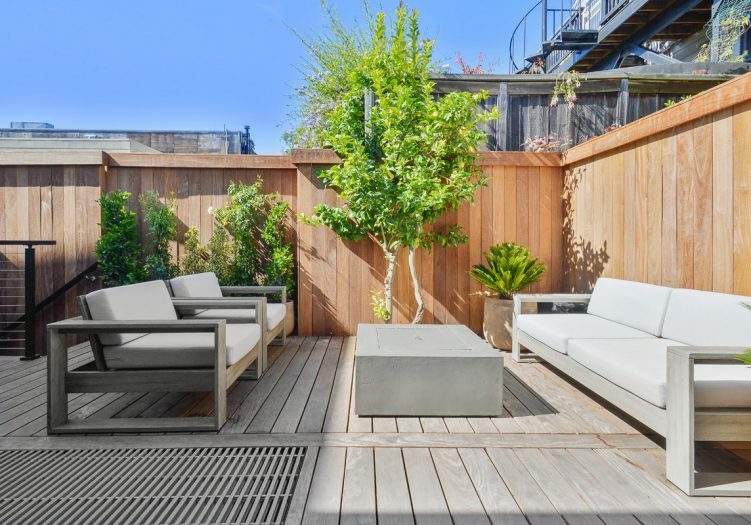 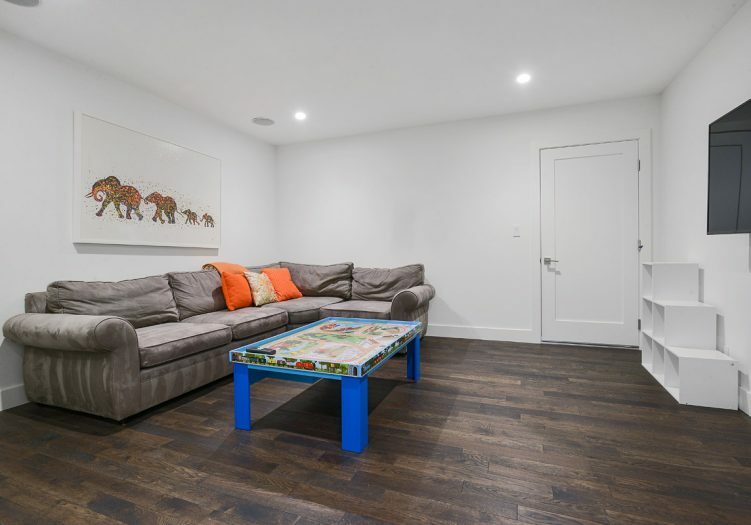 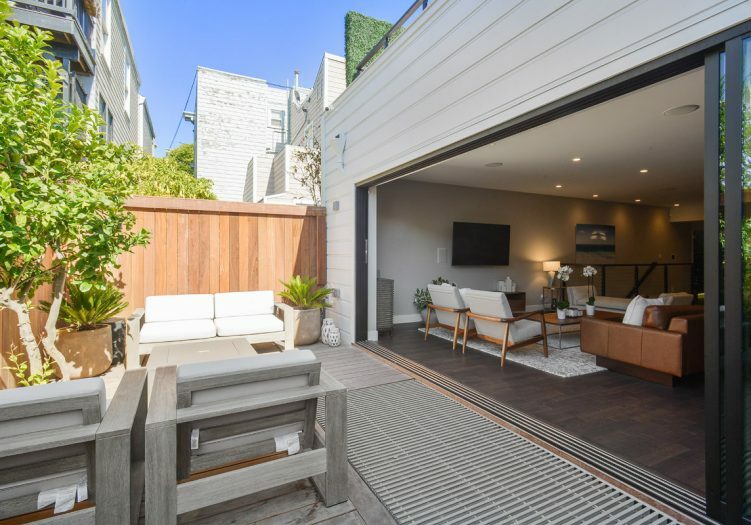 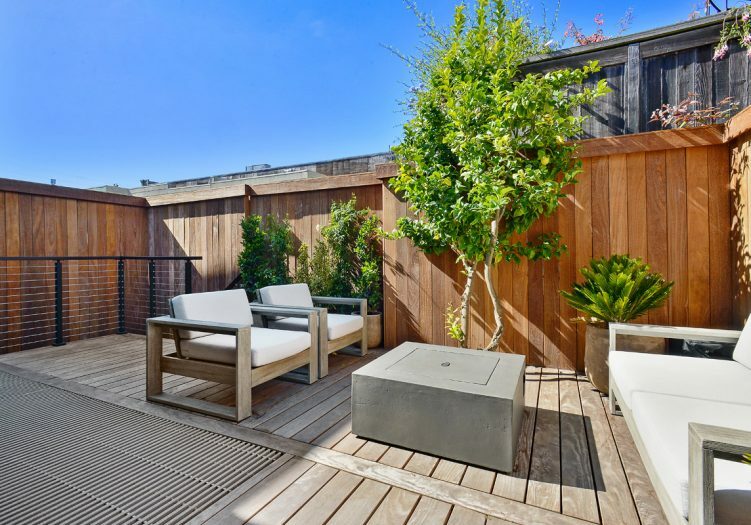 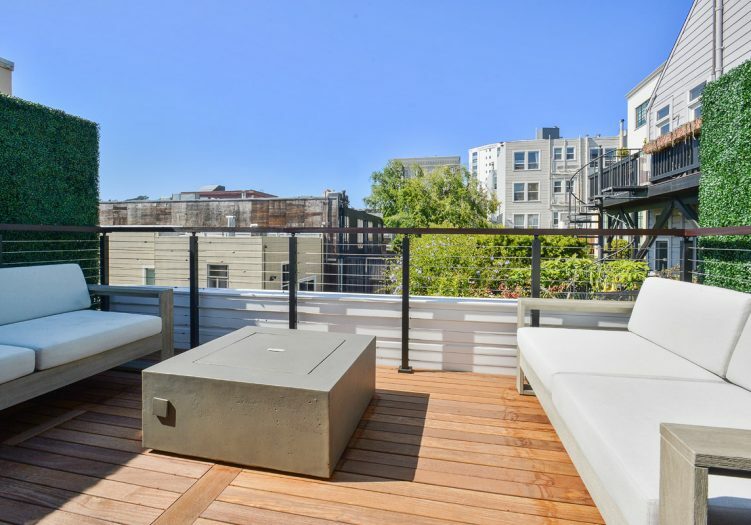 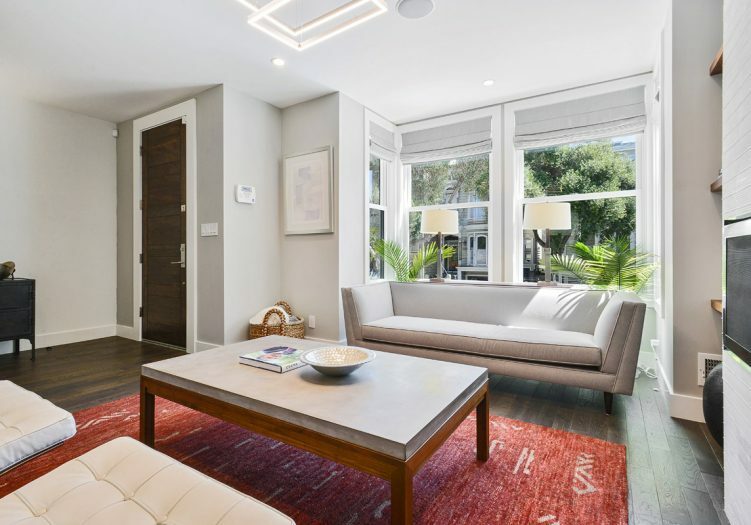 Perfect location just steps to the best of Fillmore Street. 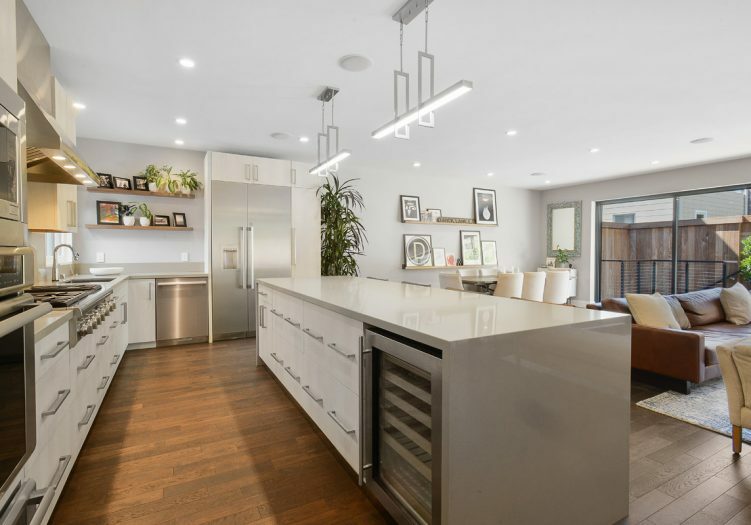 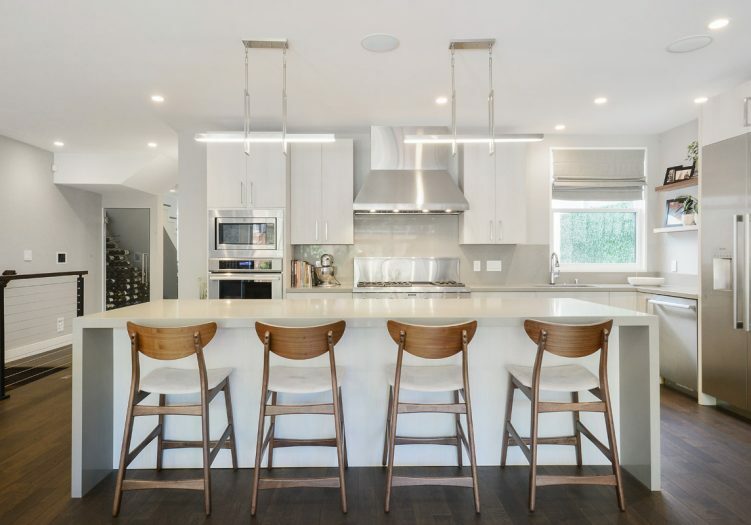 A ground up architect redesign and rebuild, resulting in a fabulous open, flowing floor plan filled with light. 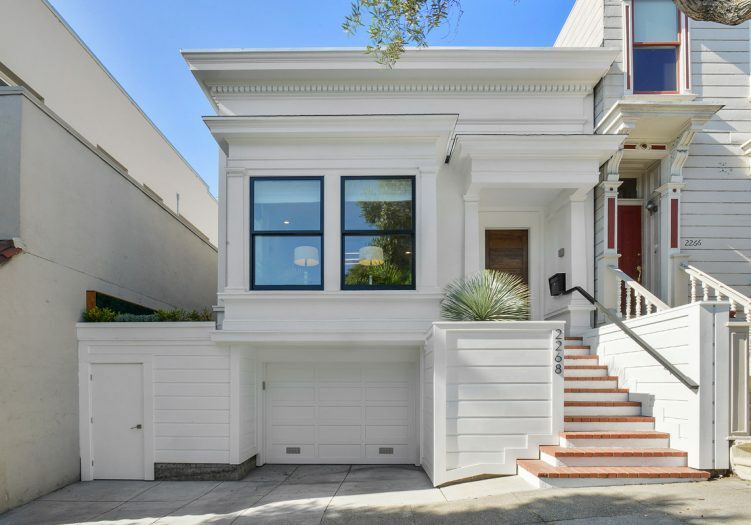 Beautiful exterior still holding claim to it's Victorian past. 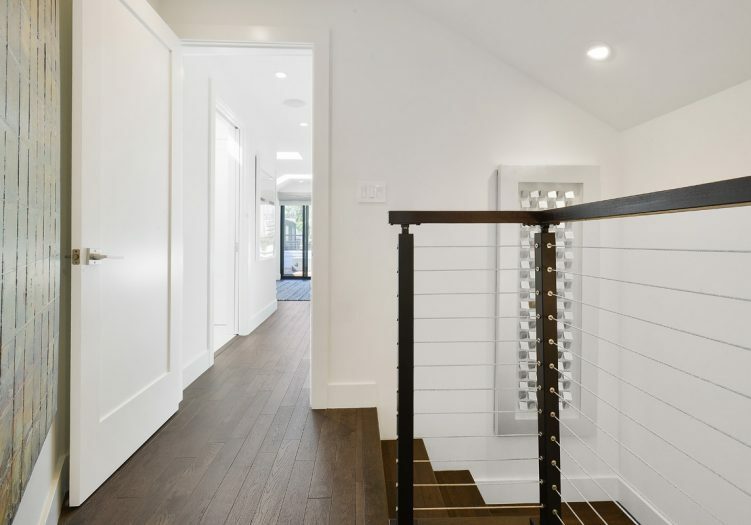 Charming entry staircase leads to a decidedly Modern front door, which beckons curiosity and anticipation for more. 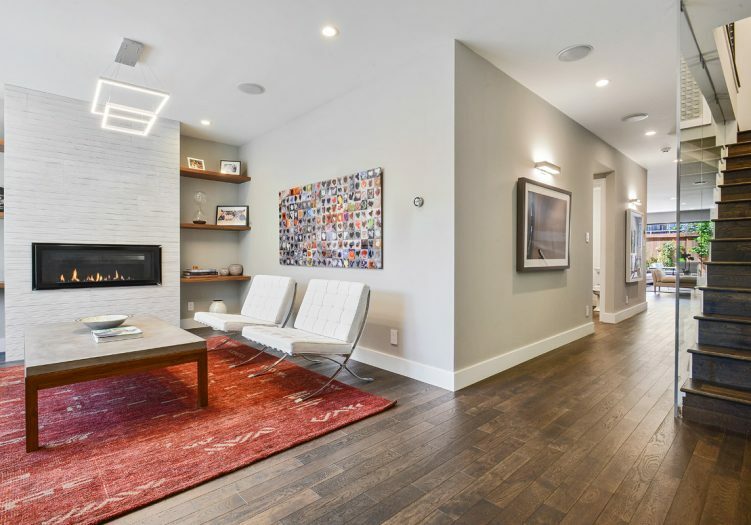 A generous foyer greets with the the sun drenched formal Living Room, modern Cosmo gas fireplace. 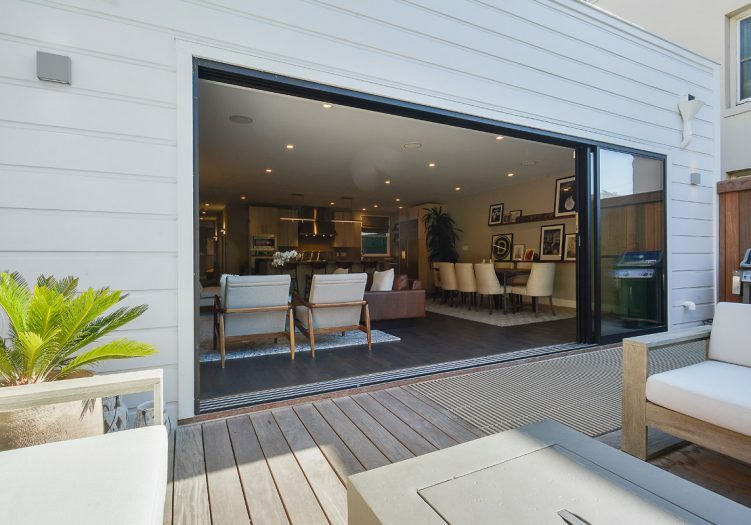 The eye carries through the house, to the back expanse with 18 feet of stackable Fleetwood sliding doors, opening to a large, private walkout outdoor terrace. 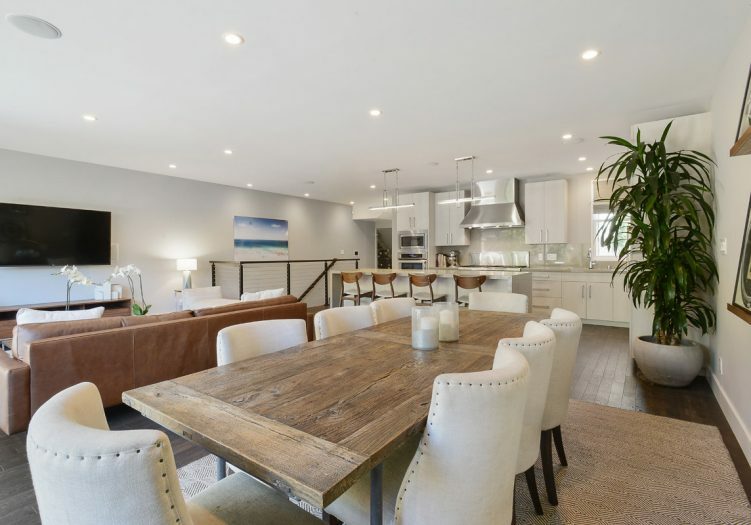 The great room with custom Kitchen has everything one could dream of. 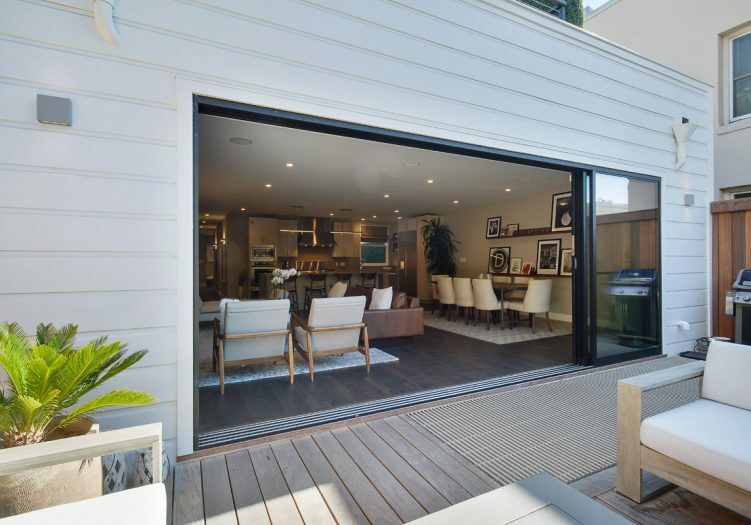 Wonderful open entertaining indoors and out where flow and function unite. 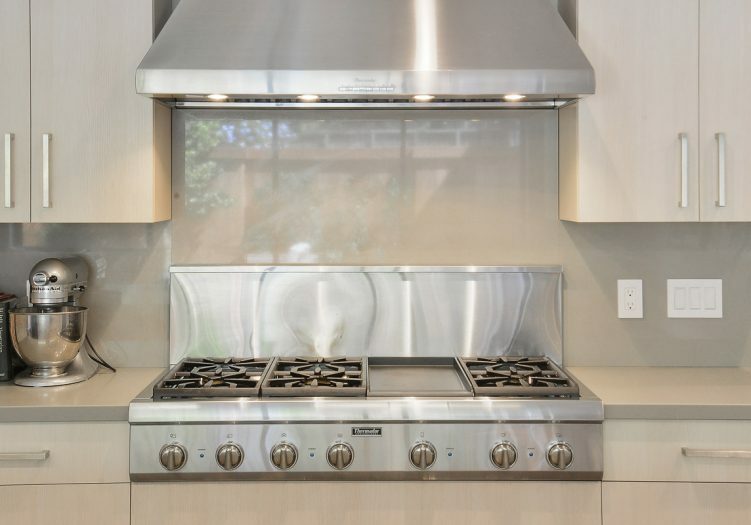 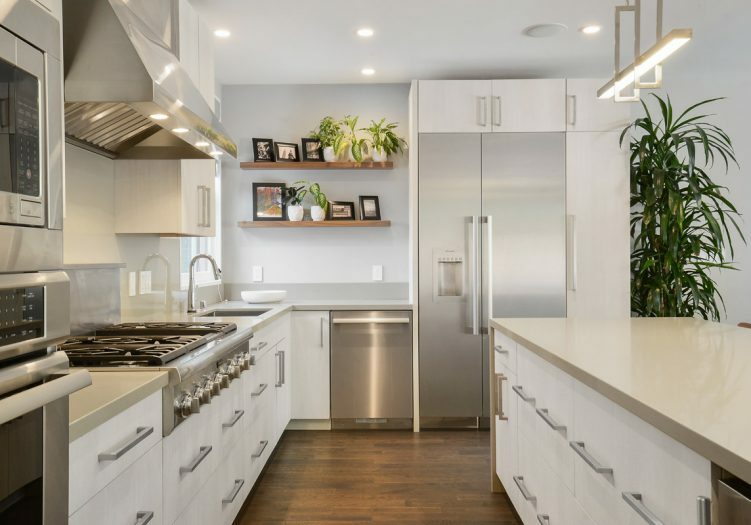 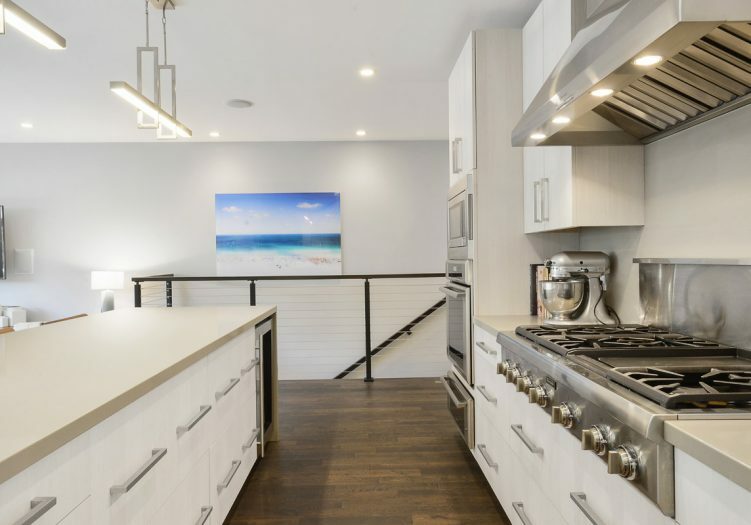 The Kitchen is equipped with Thermador appliances including 6 burner gas range having an extract hood, dishwasher, warming drawer, wall mounted electric oven, side by side refrigerator/freezer, U line 42 bottle wine storage in oversized island, custom cabinetry and Quartz countertop and back splash. 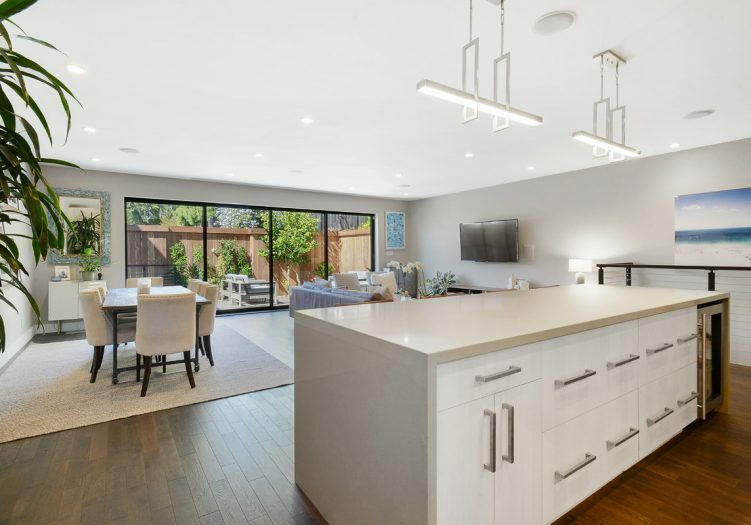 Spacious center island with generous seating and concealed electrical outlets. 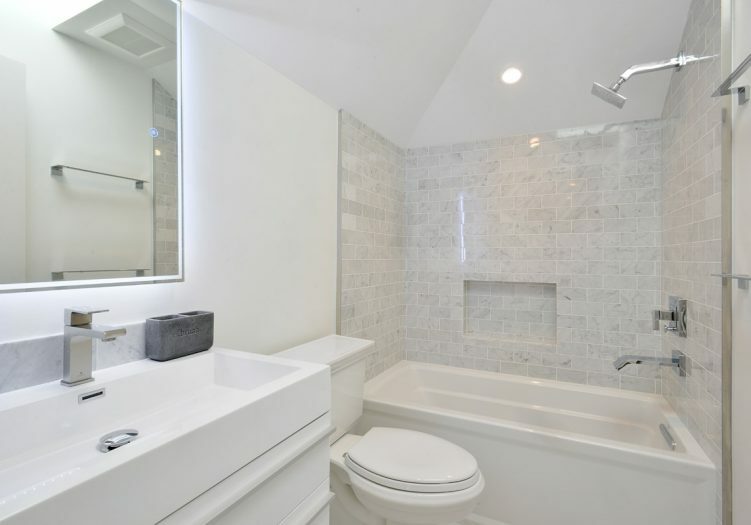 Kohler sink with Delta touch faucet and garbage disposal. 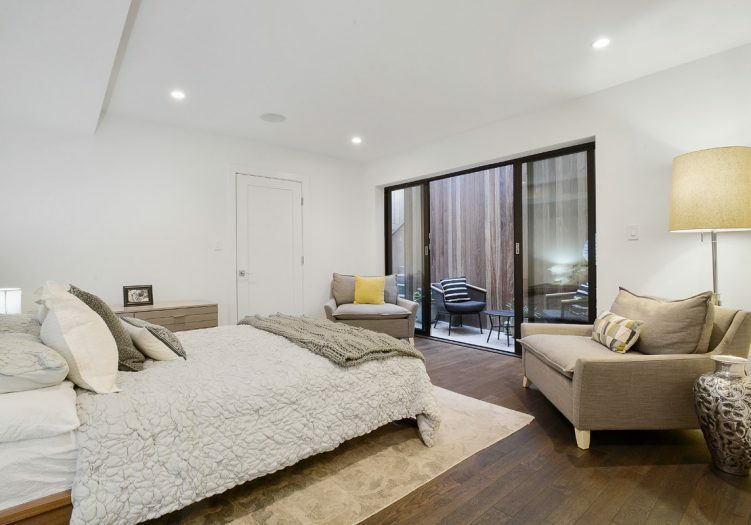 Main floor Bedroom with luxurious Bathroom en Suite. 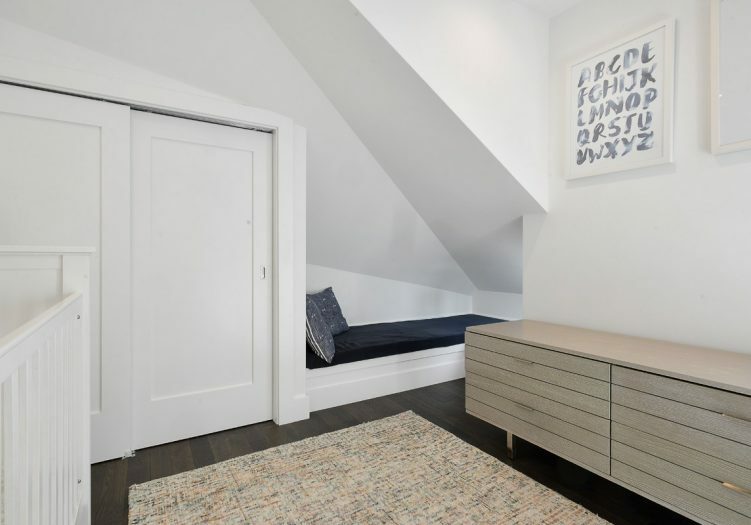 Convenient Laundry closet with stack washer and dryer. 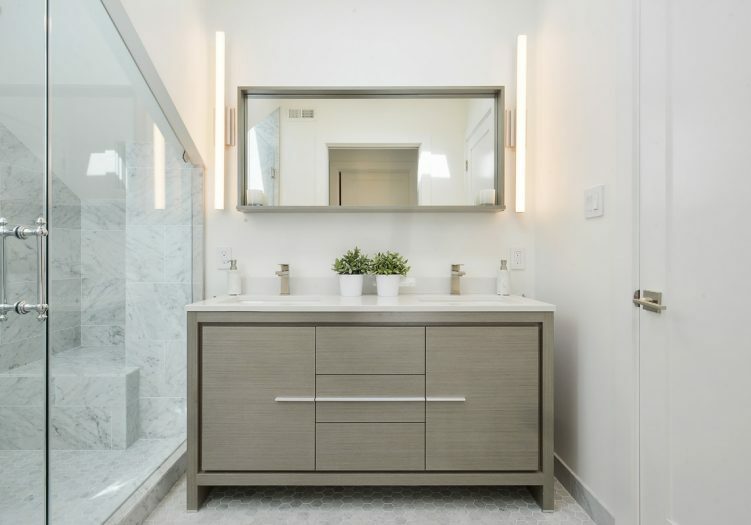 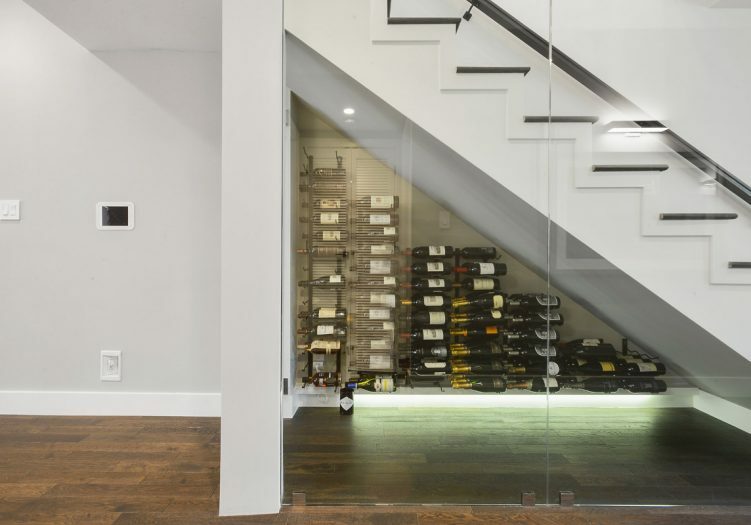 Glamorous glass enclosed showcase wine storage and elegant Powder Room with wall mounted Carrera marble counter with sink having Kohler fixtures and Hansgrohe faucet which completes the main level. 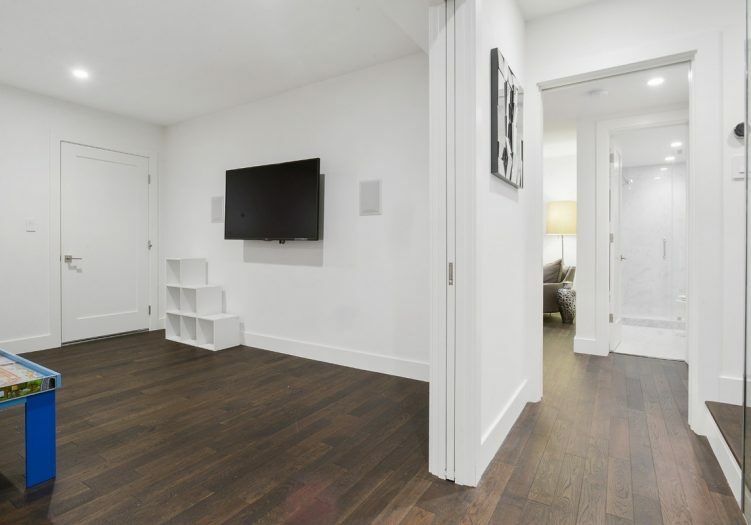 Solid white oak floors throughout. 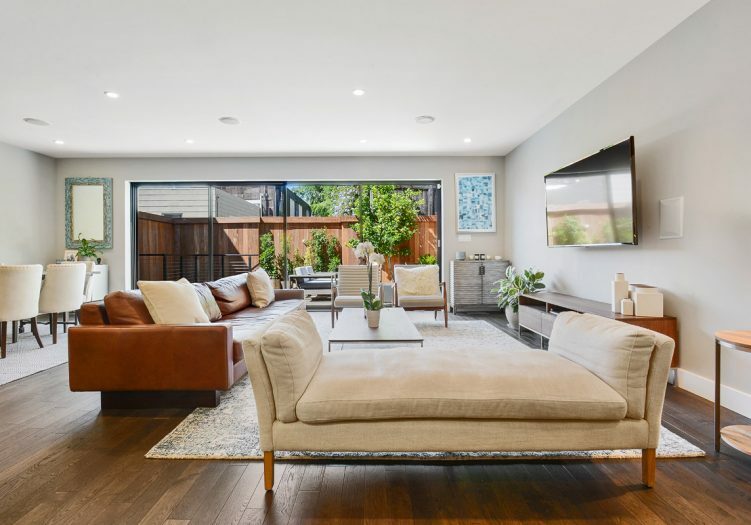 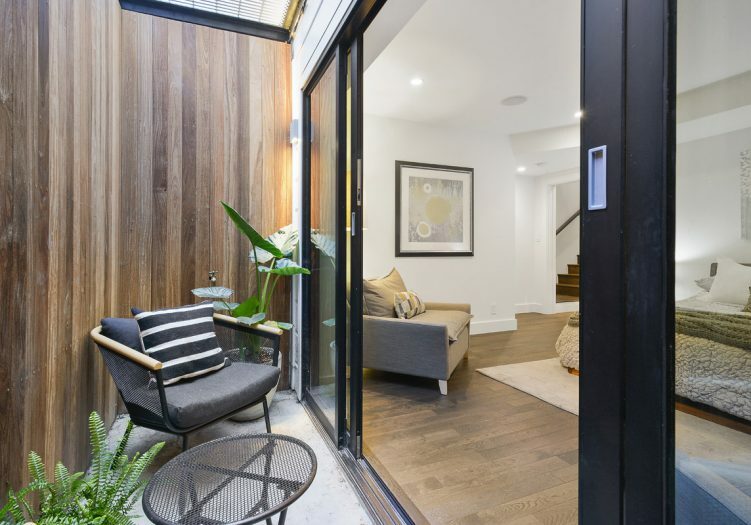 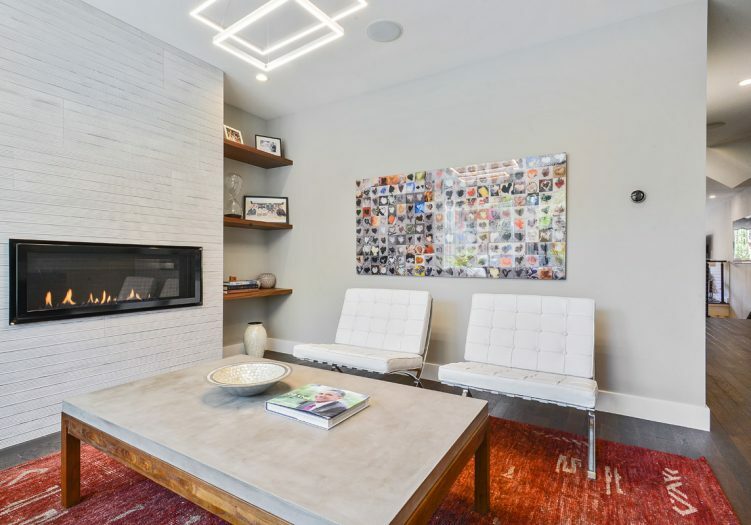 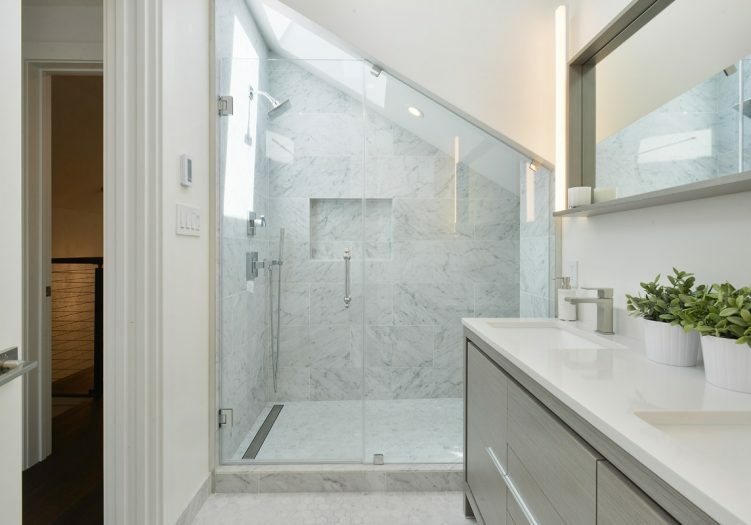 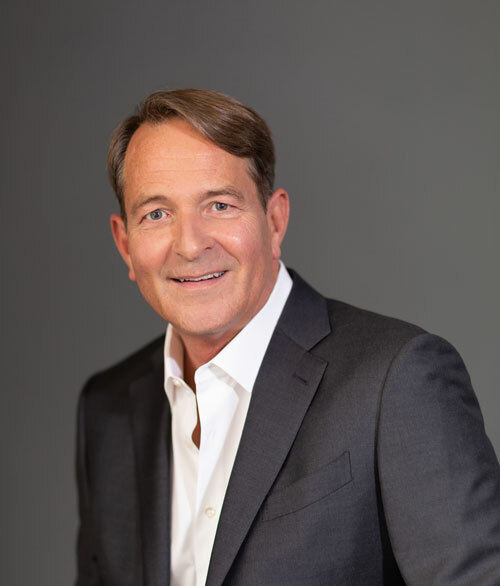 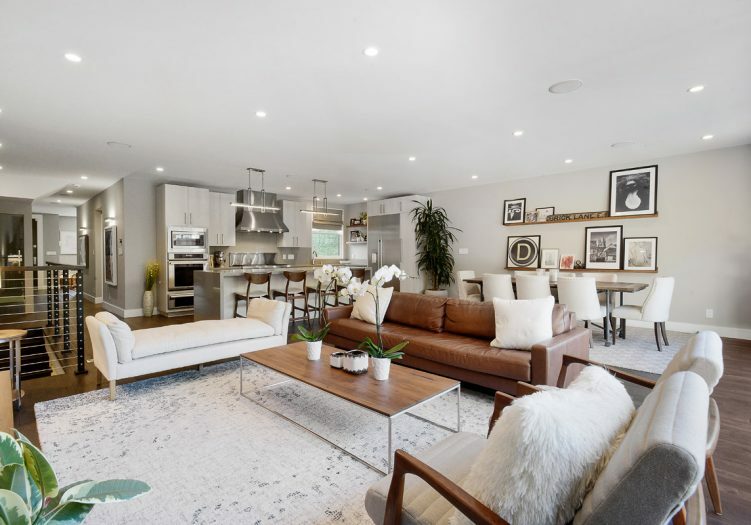 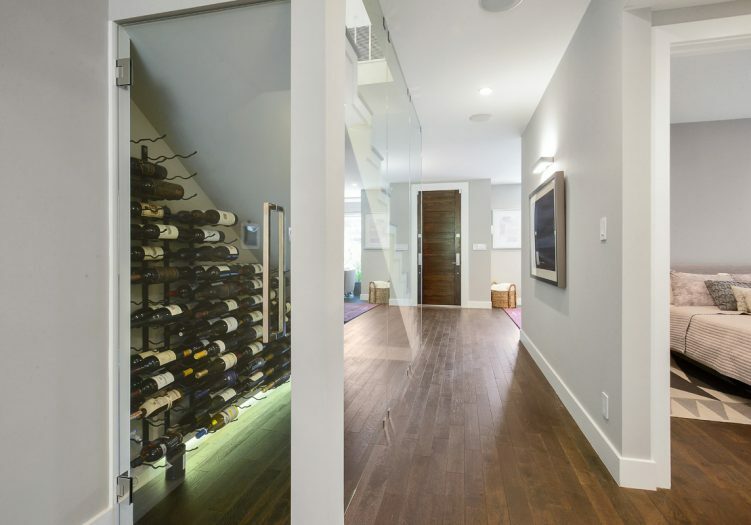 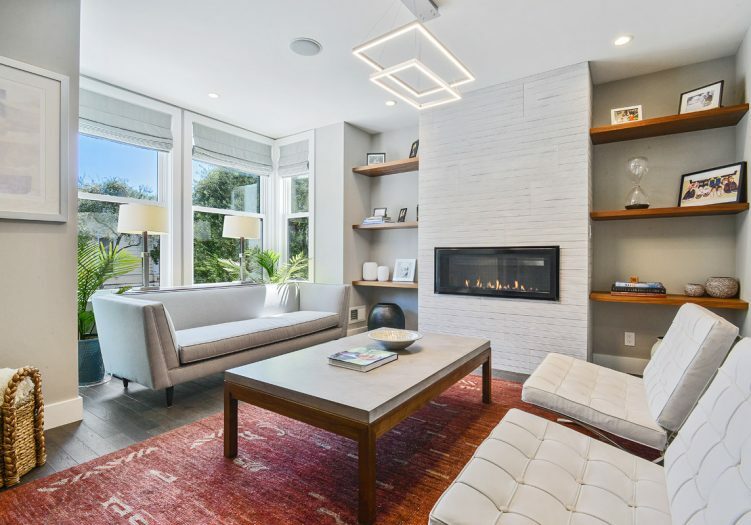 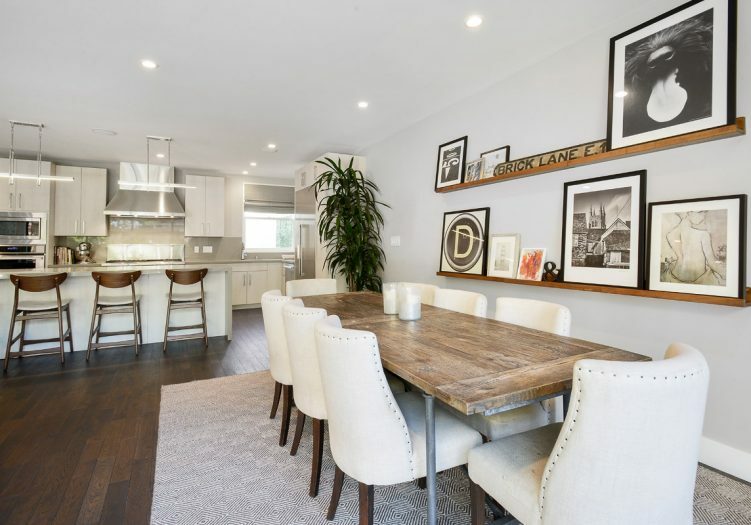 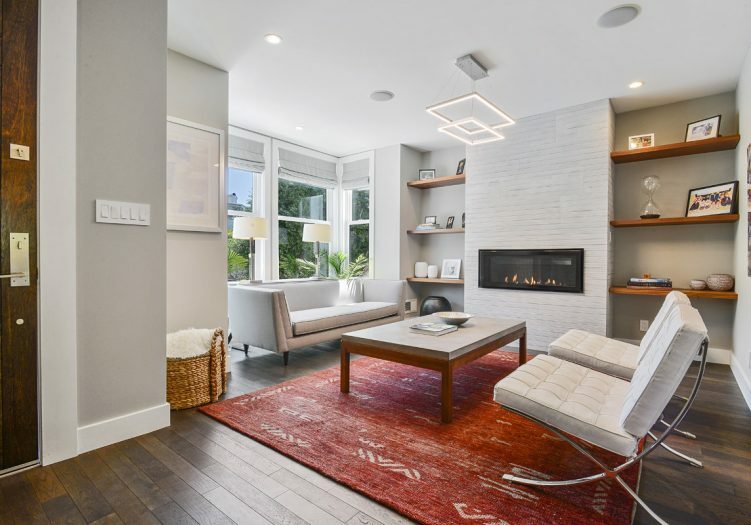 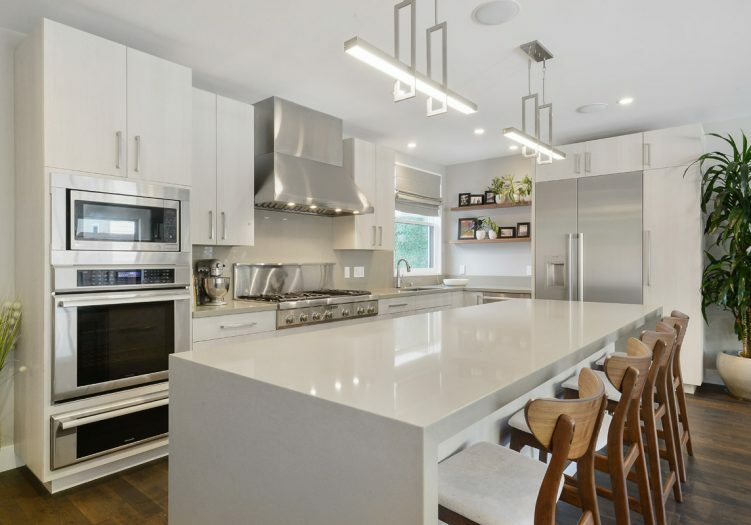 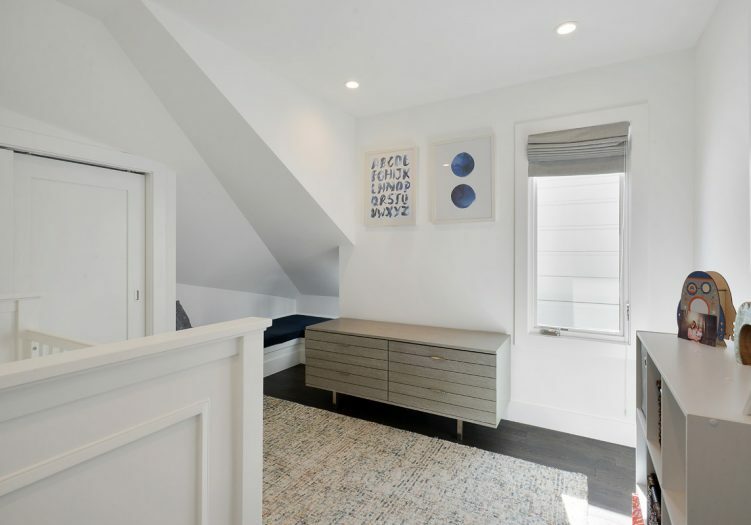 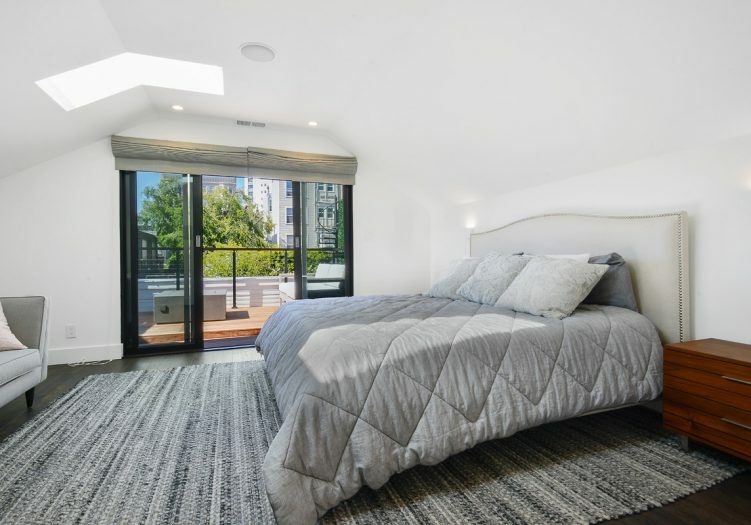 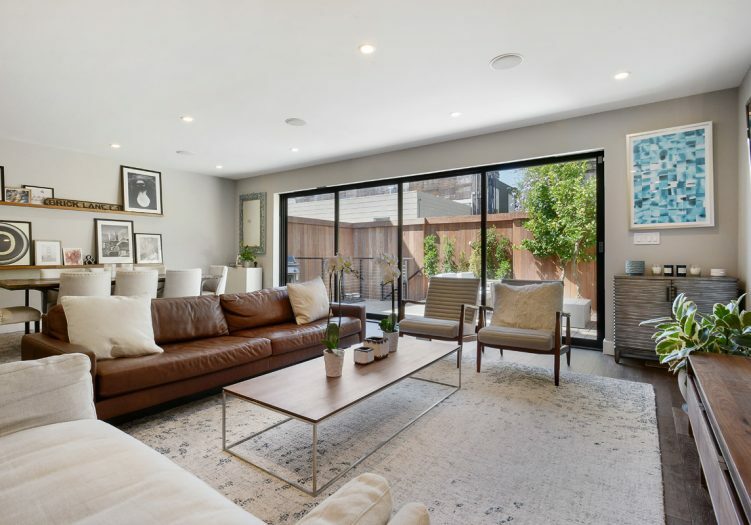 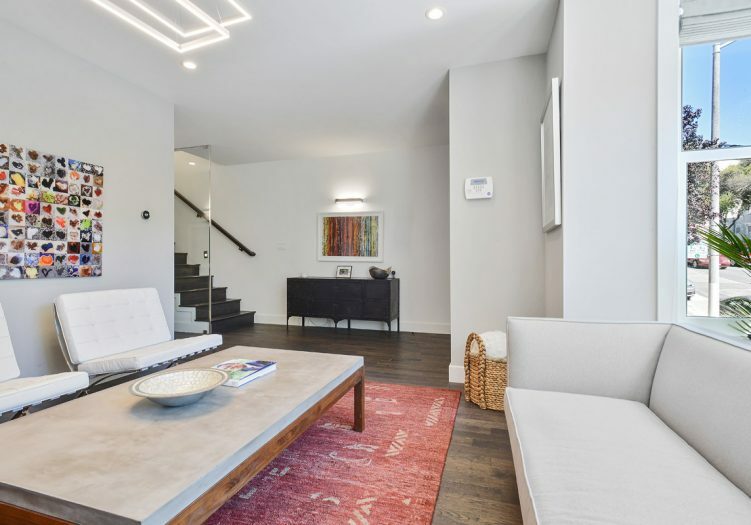 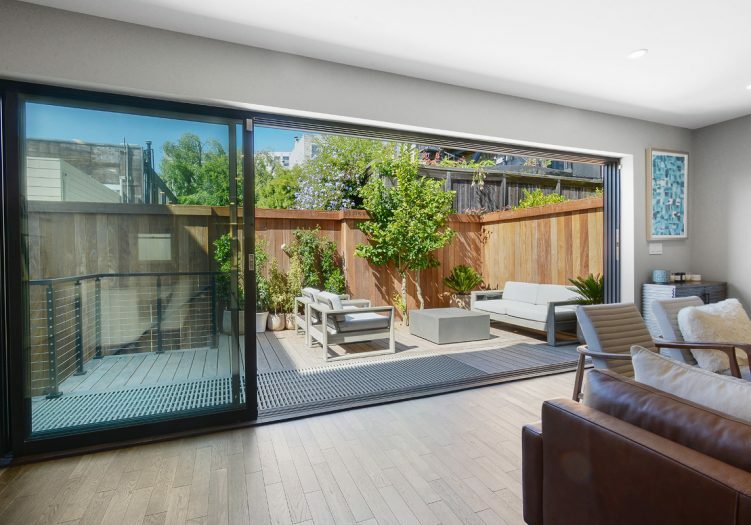 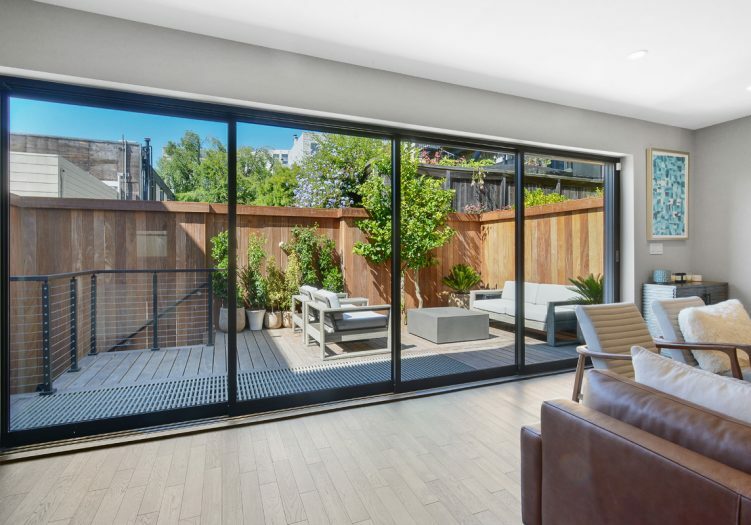 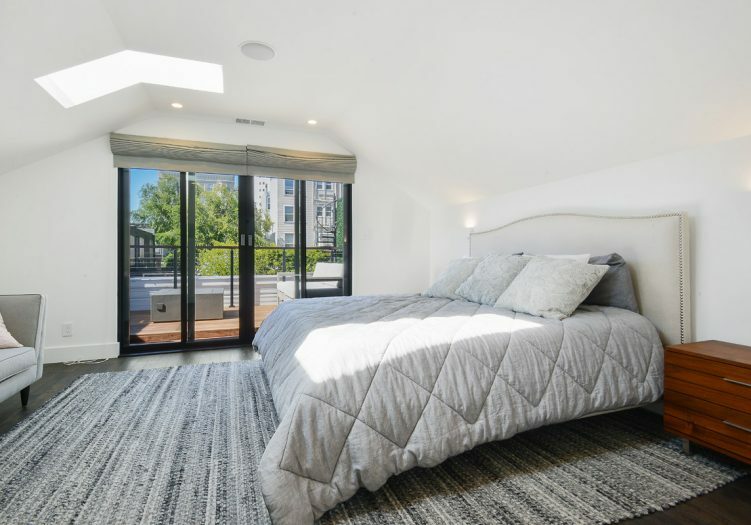 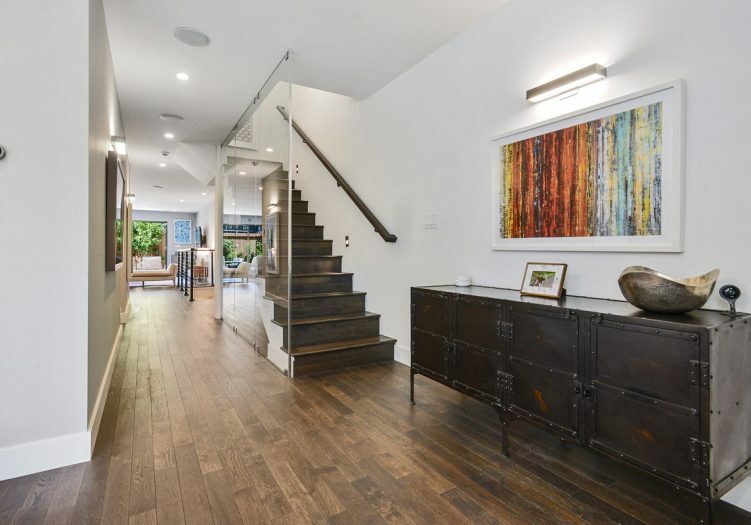 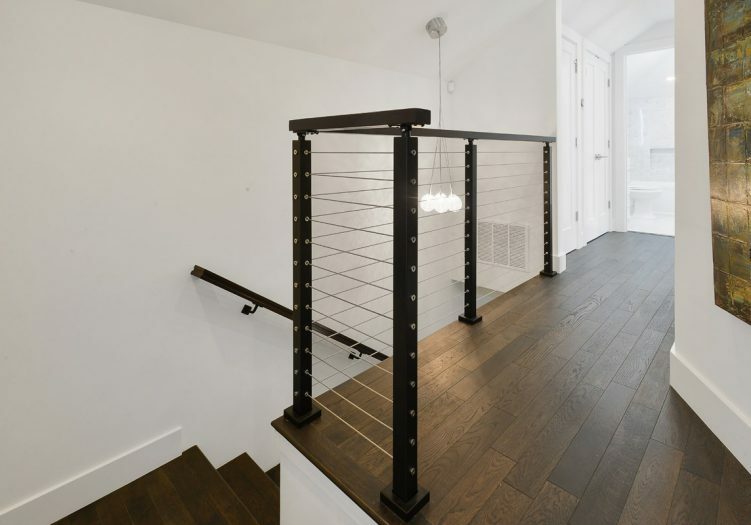 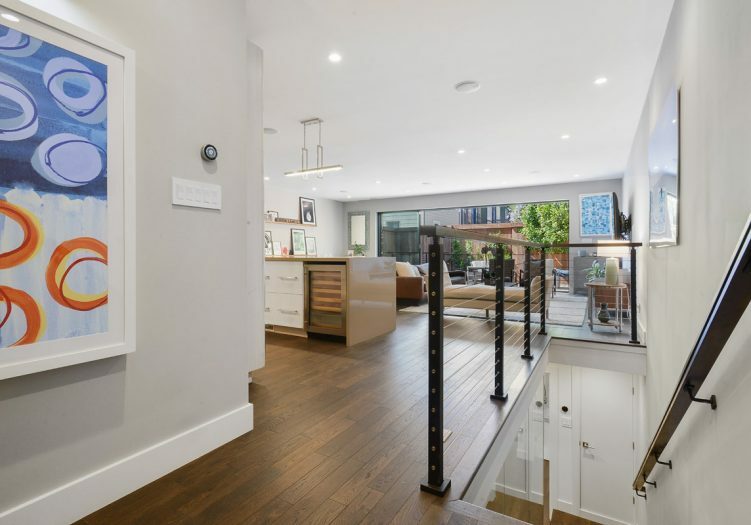 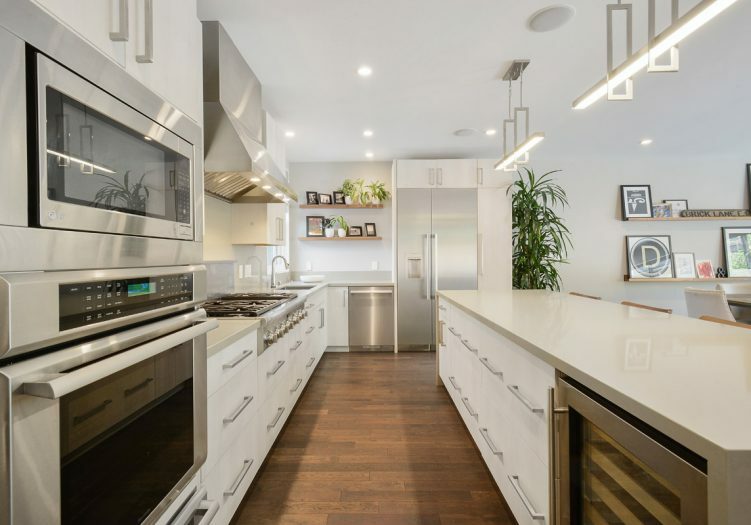 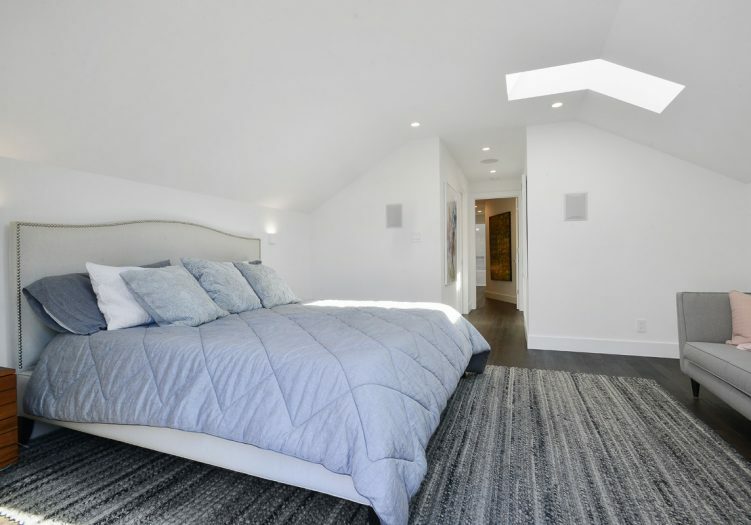 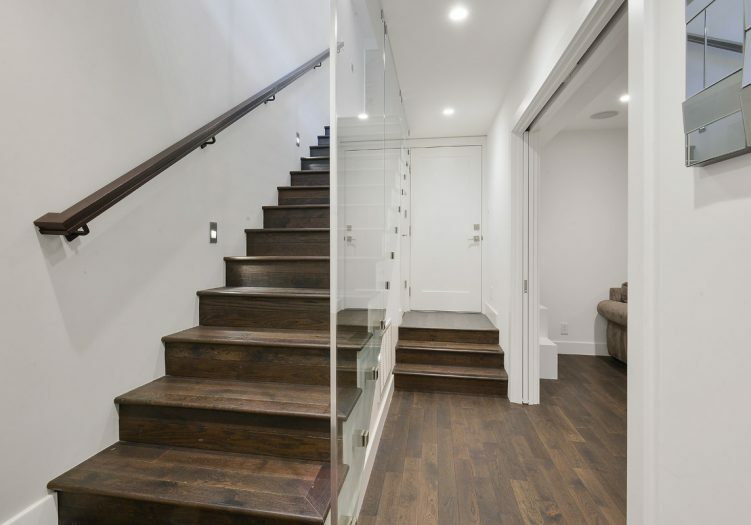 Upper level is accessed by an enlightened custom glass wall staircase leading to the 3 Bedrooms and 2 beautifully outfitted Bathrooms with skylights. 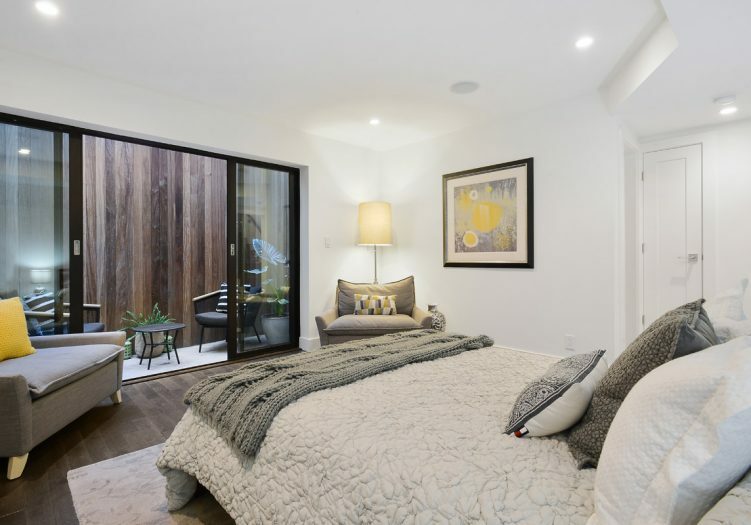 The generous Master Suite is placed at the back of this level with private terrace with fire pit. 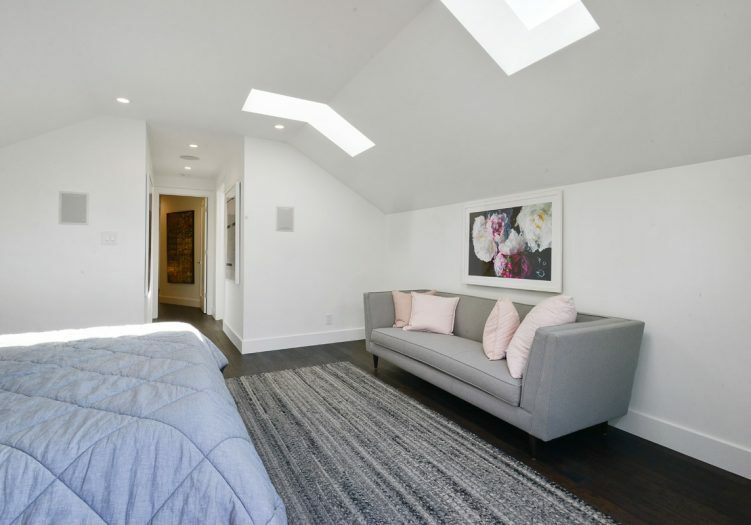 Skylights fill this room with light. 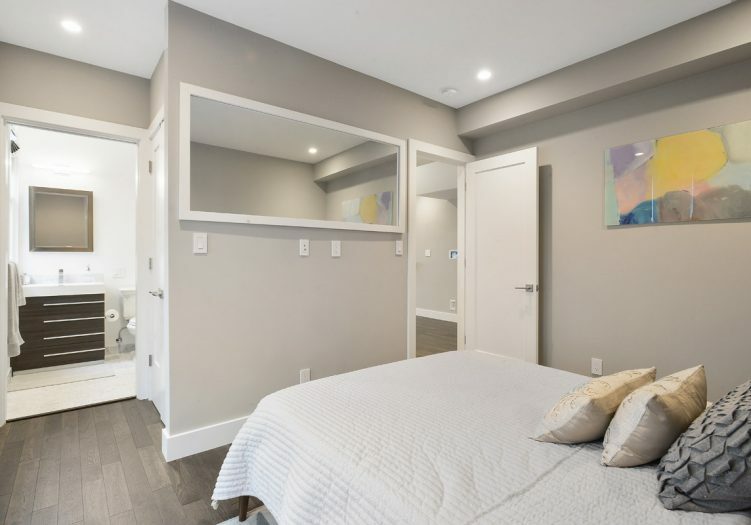 Spacious walk in closet and 2 skylights in Master Bathroom with double sinks, radiant heat floors and private doored commode. 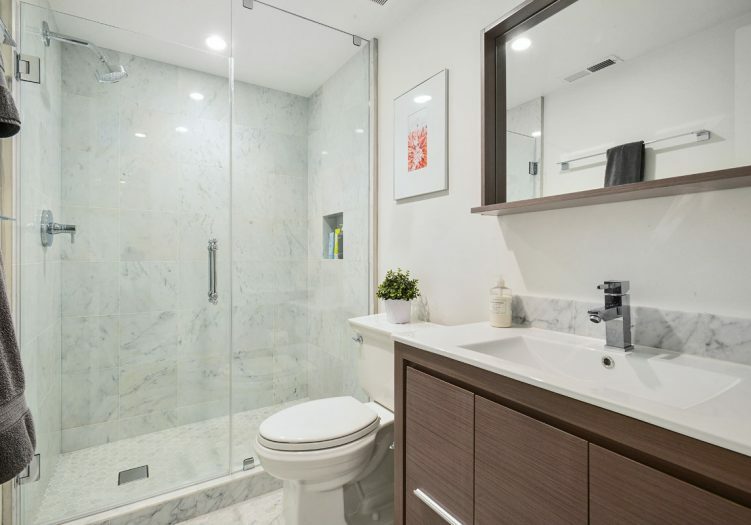 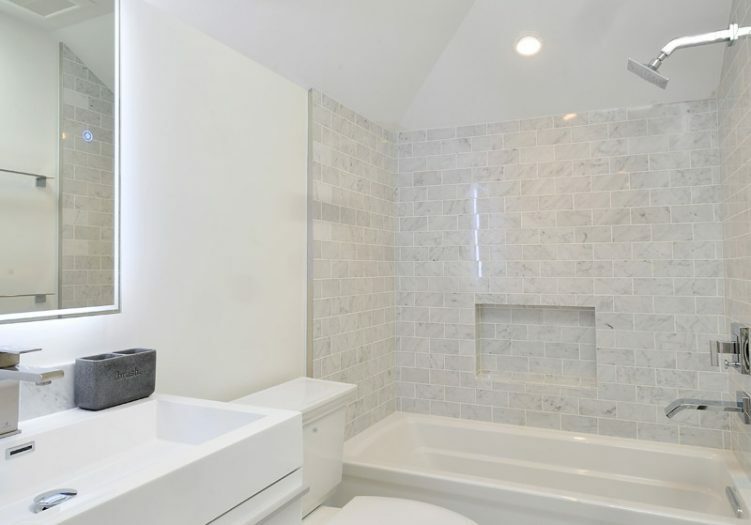 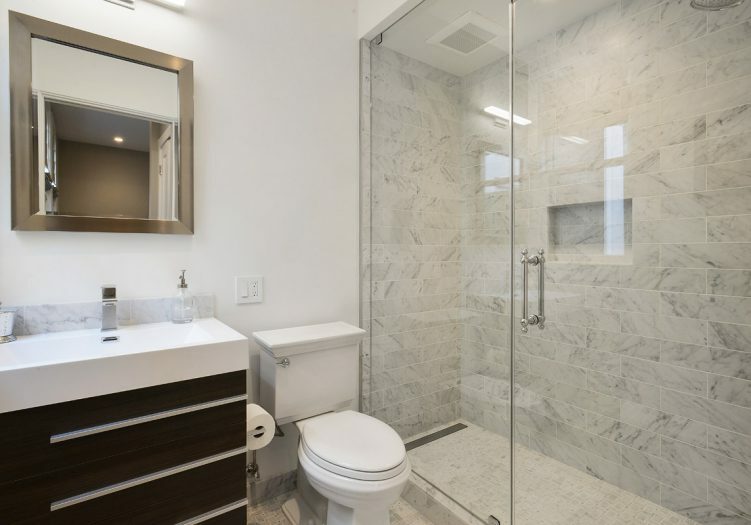 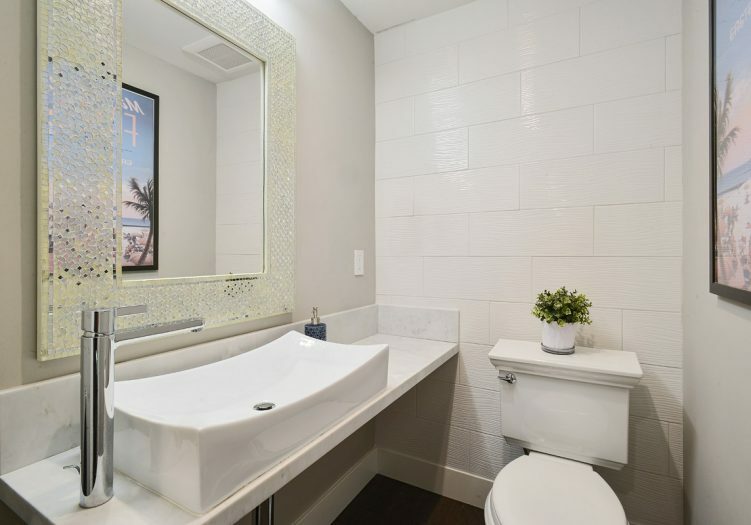 All 4 Bathrooms are outfitted with Carrera marble wall and floor tile, Kohler fixtures and custom glass shower enclosures. 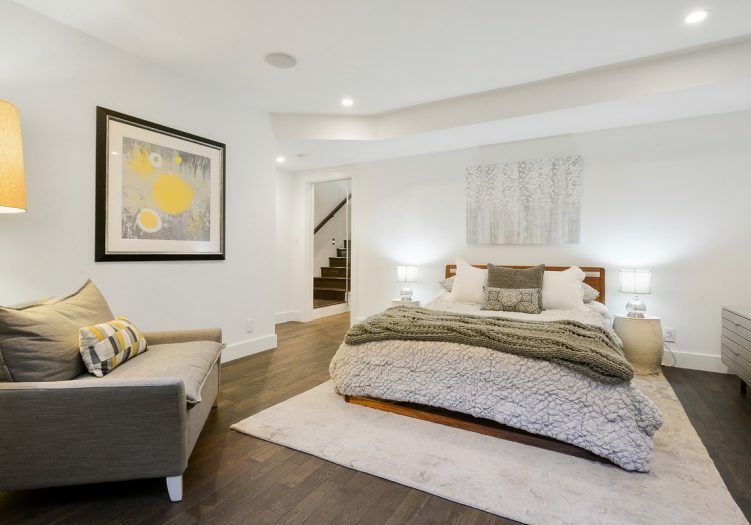 Lower level consists of spacious guest Bedroom with private walkout patio. 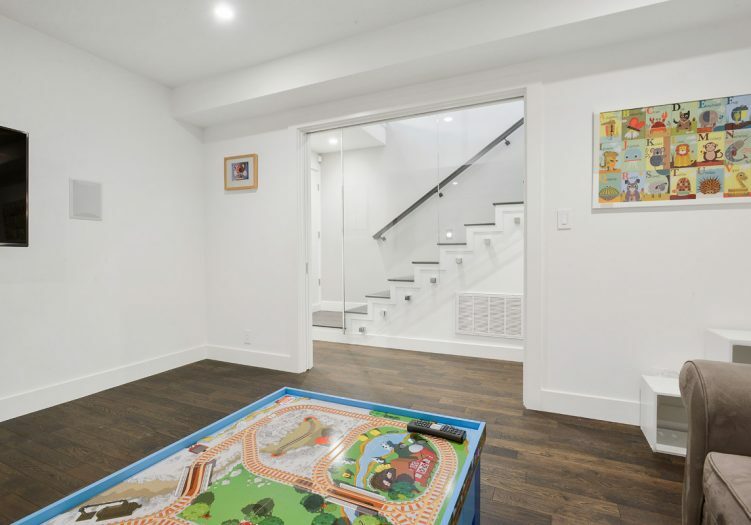 Media/Playroom with pocket doors, elegant bathroom. 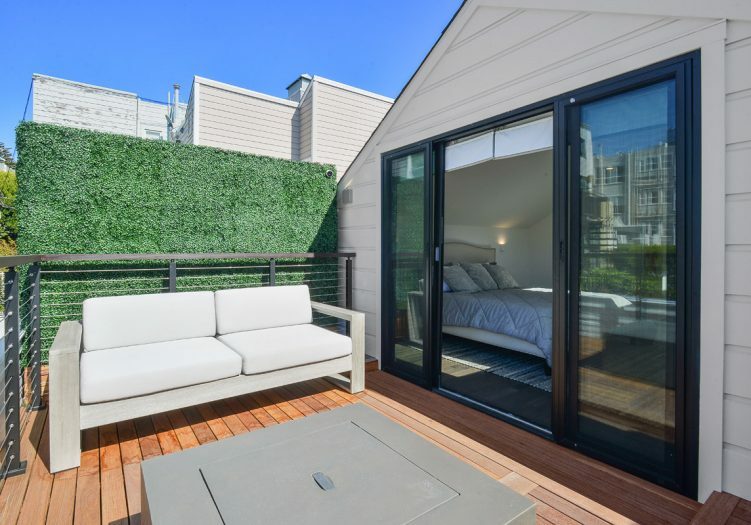 Both Bedroom and Media room have doors to the enclosed and finished breezeway. 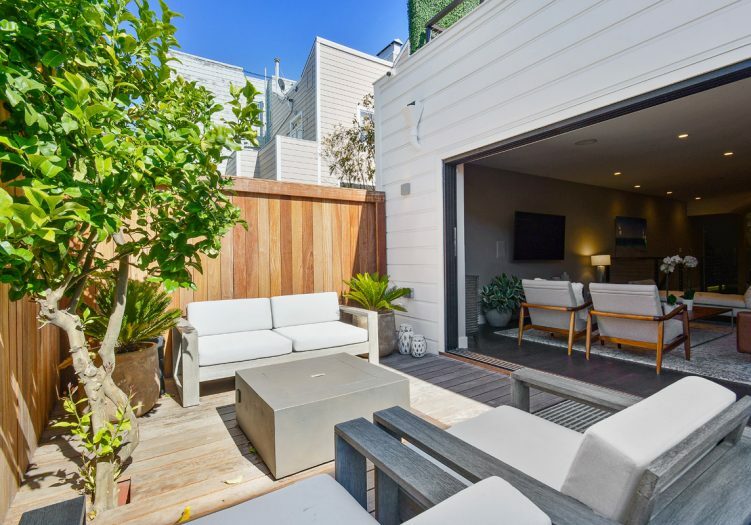 Spacious 2 car side by side Garage with ample storage and door to open air breezeway. 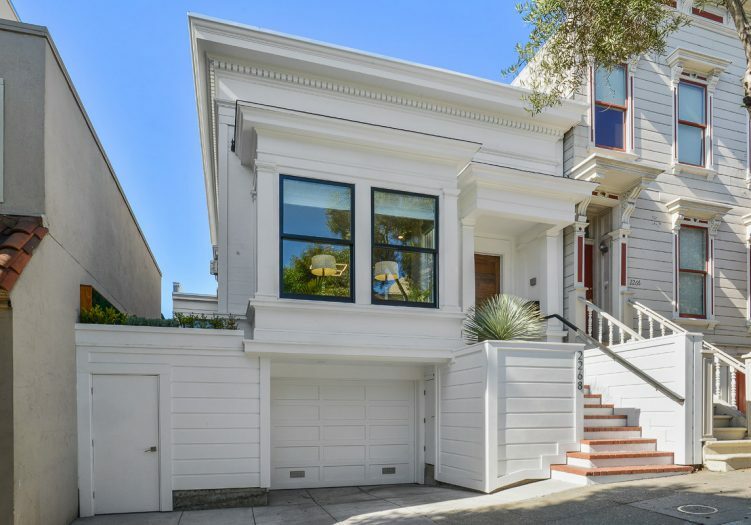 Live the dream with this completely done house in fantastic, close to Fillmore Street location!